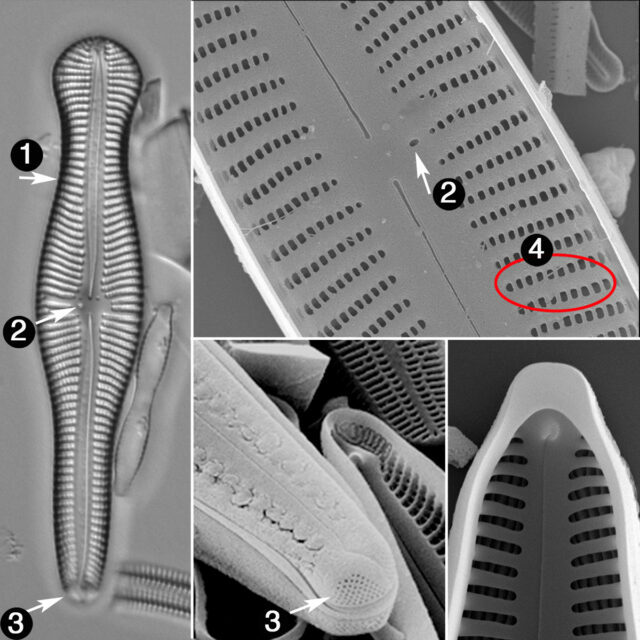 Levkov, Z., Mitić-Kopanja, D. and Reichardt, E. (2016) The diatom genus Gomphonema from the Republic of Macedonia Diatoms of Europe. Diatoms of the European Inland Waters and Comparable Habitats 8: 1-552. Reichardt, E. (1999) Zur Revision der Gattung Gomphonema: Die Arten um G. affine/insigne, G. angustatum/micropus, G. acuminatum sowie gomphonemoide Diatomeen aus dem Oberoligozän in Böhmen. Annotated Diatom Micrographs. Edited by Horst Lange-Bertalot. Iconographia Diatomologica, Volume 8, A.R.G. Gantner. Reichardt, E. (2015) The identity of Gomphonema clavatum Ehrenberg (Bacillariophyceae) and typification of five species of the genus Gomphonema described by C.G. Ehrenberg Diatom Research 30(2): 141-150.